I never thought I’d enjoy eating a stand alone onion. That was before I met the Vidalia Onion wrapped in bacon and grilled. Vidalia Georgia, The Sweet Onion City located in the Southeastern part of the state, hosts the annual Vidalia Onion Festival each year. 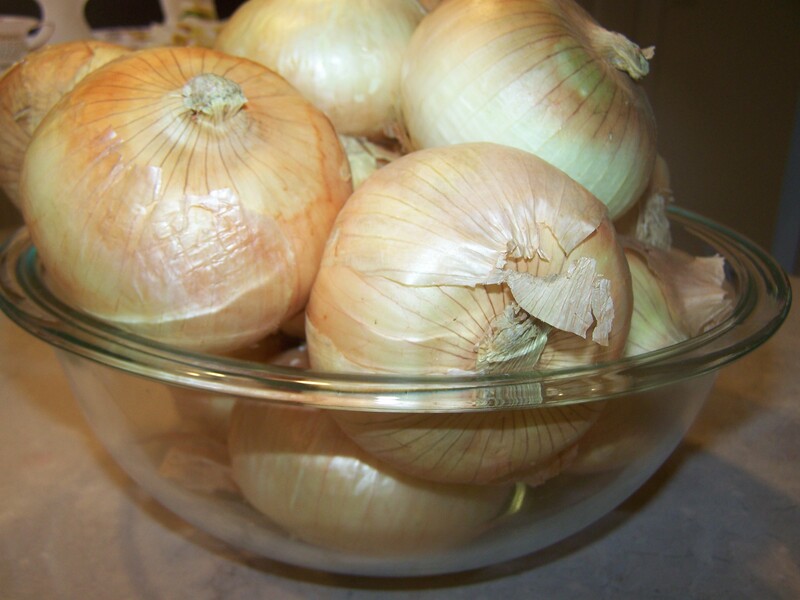 This spring, I met a few friends there and picked up a five-pound bag of the famous onions. The following weekend while watching Trisha’s Southern Kitchen on Food Network, I discovered Uncle Wilson’s Grilled Onions featuring, you guessed it: Sweet Vidalia Onions. I knew then just how I’d use mine. Peel the onions, then cut a small hole in the tops of them large enough to hold about a tablespoon of butter. 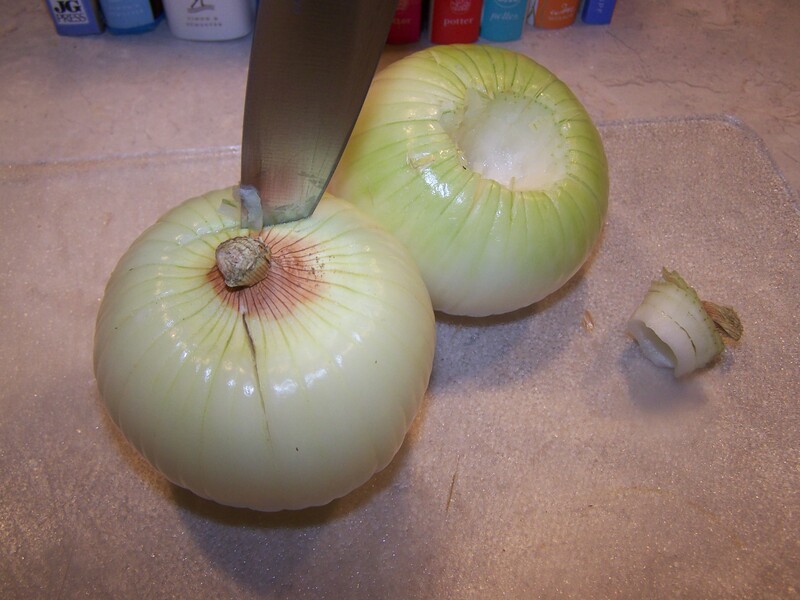 Then cut small slits in the onion along the top in a complete circle. 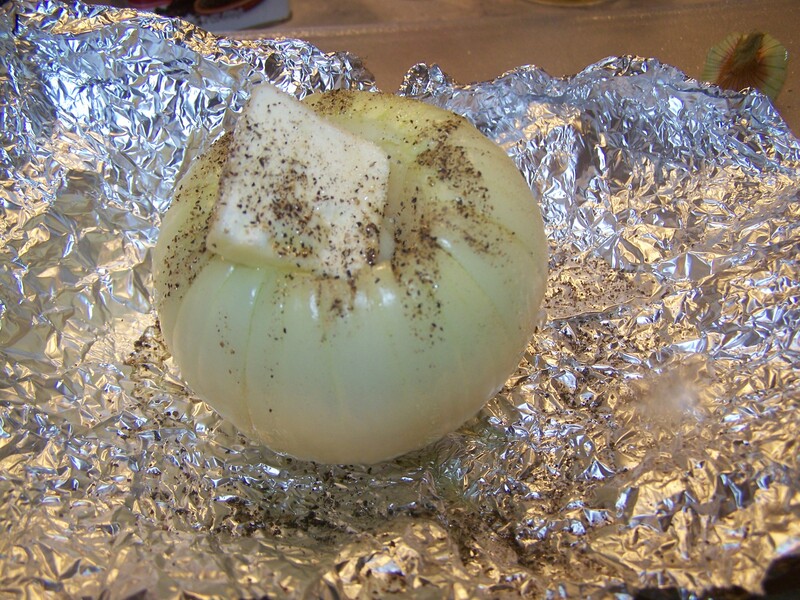 Place your onion in a piece of aluminum foil large enough to cover it. 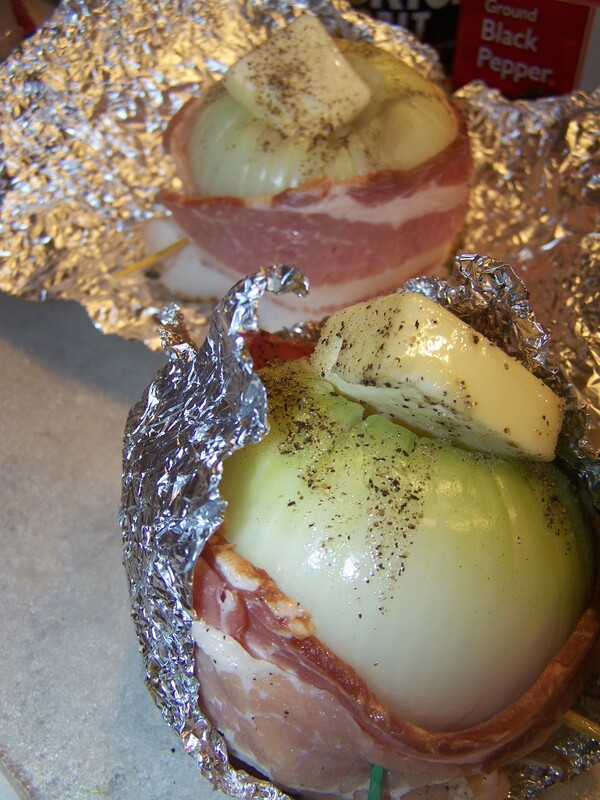 Add a tablespoon of butter to the tops of the onion and season with salt & pepper. I also drizzled mine with a little olive oil. This is the best part! Bacon absolutely makes everything better. Am I right? 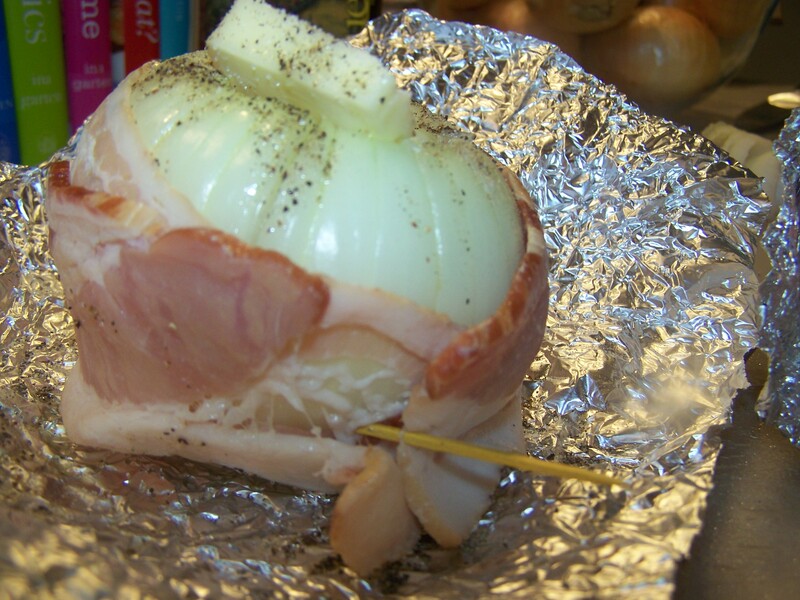 I took a cue from Trisha’s Uncle Wilson here and added two slices of bacon to each onion. Secure the bacon with toothpicks. The onions are ready for the grill! 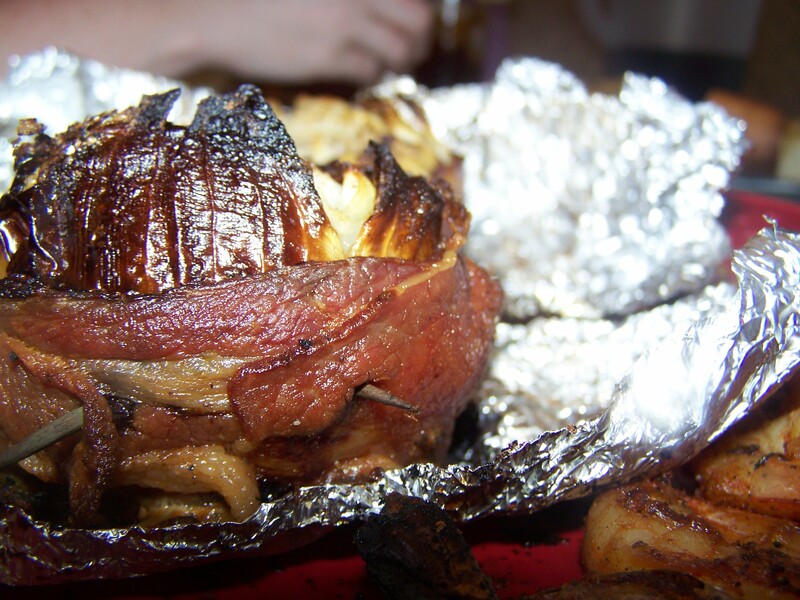 Close your tin foil up around the onion leaving a small hole at the top for venting. I was low on foil, but I made do. Watch my video below to see how they turned out! The pictures below tell you how long to let them cook and how to serve them up. I grilled the onions with the lid closed over medium heat for one hour. When the onions have cooked, the butter melts and the bacon gets crispy. The onions get that charred look and the flavor is out of this world! 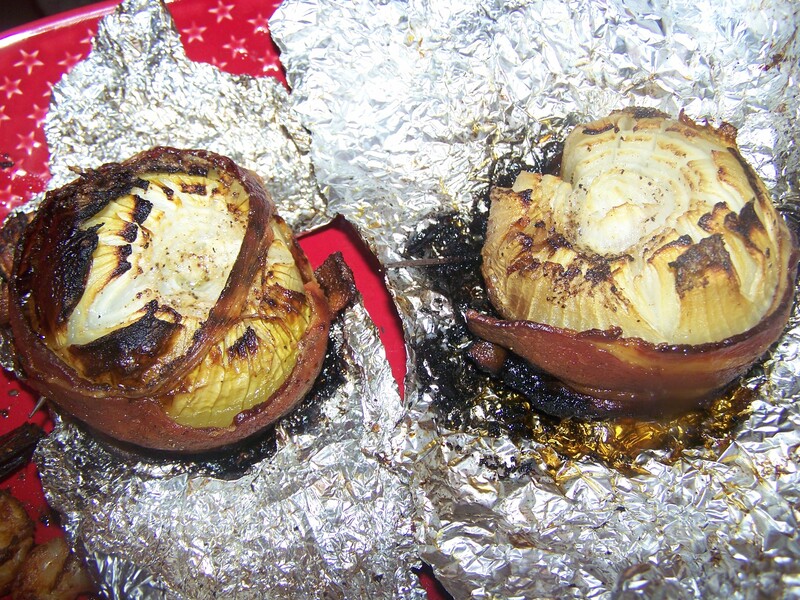 When I tasted the grilled onion, the first thing out of my mouth was, “It’s like eating dessert!” The flavor doesn’t taste like an onion at all—it’s very sweet and mild, and the bacon really compliments it nicely. 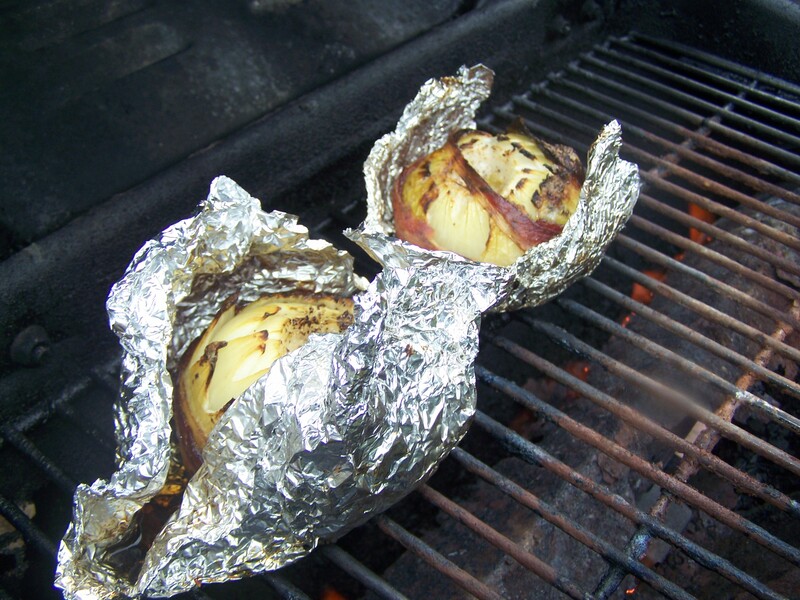 Serve the grilled onions in the aluminum foil. It’s like getting your own little package and unwrapping a present right on your plate (plus, the foil helps keep the heat in). Be sure to eat the onions while they’re hot. 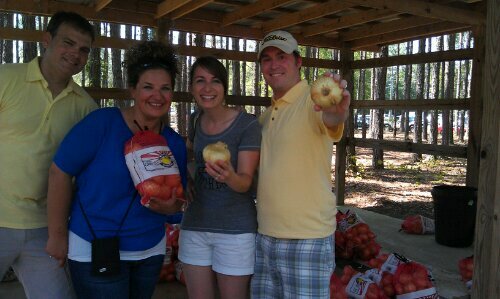 Have you ever eaten a Vidalia Onion? If so, what did you think and how was it prepared? Georgia native Rebekah Faulk Lingenfelser is a freelance writer, entertainer and food enthusiast who writes and speaks about her love of good food and the Coastal South. A Season 2 Contestant on ABC’s “The Taste,” she is the Statesboro Herald food columnist and host of SKG-TV on YouTube. She appears regularly as Celebrity Chef at the Statesboro Main Street Farmers’ Market and has written as a guest blogger for Visit Savannah, Savannah Taste Experience and The Local Palate. A public relations graduate of Georgia Southern University, Rebekah also attended Savannah Technical College’s Culinary Institute of Savannah. To learn more, connect with Some Kinda Good on social media, or visit RebekahFaulk.wix.com/RebekahFaulk.